Don't look now, but the Dark Lord of the Sith wants to ride along with you. Refusing isn't an option. 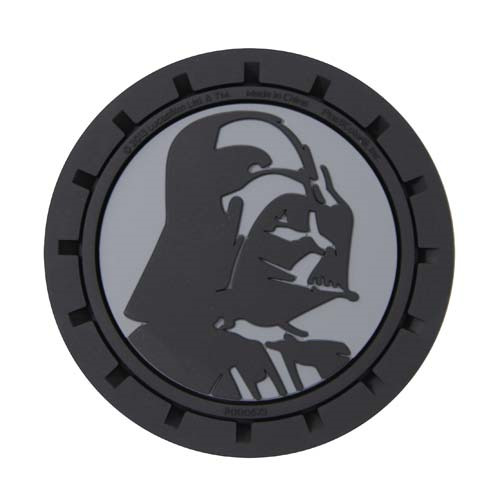 Make a lasting impression while protecting your car from moisture with this Star Wars Darth Vader Auto Coasters 2-Pack! These two coasters are made with the highest quality materials, so you can relax with the peace of mind that you'll enjoy them for many years to come. They're easily cleaned with soap and water, and compatible with multiple makes and models. Trim them to fit large and small auto cup holders. For ages 16 and up.